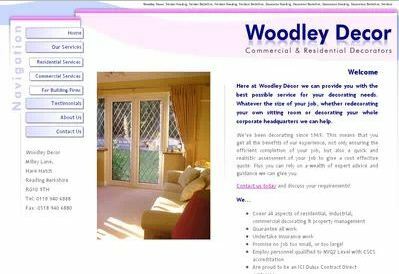 Like all of our work, the Woodley Decor website was designed from not from templates but from scratch, based on the needs of the business. The company has been in the painting and decorating business in Berkshire for more than 40 years and - despite its name - is now based in Hare Hatch. Their website needed bringing up to date, making better use of the full width of the browser window with more and bigger pictures of their work. Moreover, they needed to reflect the changing nature of their marketing, which is now targeting more residential work, with a little less emphasis on their commercial painting and decorating business. 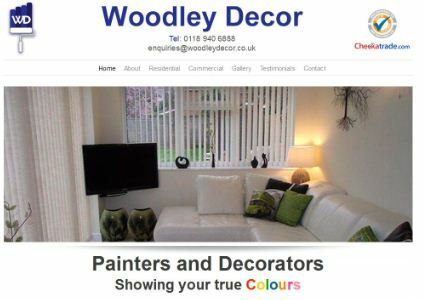 We built the site using Concrete5, which is a very user-friendly content management system, allowing Woodley Decor to take charge of updating the site with new text and pictures. We find Concrete5 is very popular with clients and Dawn from Woodley Decor summed up her initial reaction with one word: "Brilliant!" We could do all this for you at a very competitive rate, so if you run a small business in Reading, Berkshire, and your site needs bringing up to date or no longer reflects your core business, then give us a call.